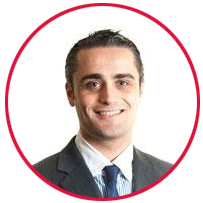 PART 2 – WHY APPOINT A PLANNING CONSULTANT? ACA TALK TO EXPERTS ABOUT THE BENEFITS OF APPOINTING A PLANNING CONSULTANT FOR YOUR SELF BUILD IN ENGLAND. 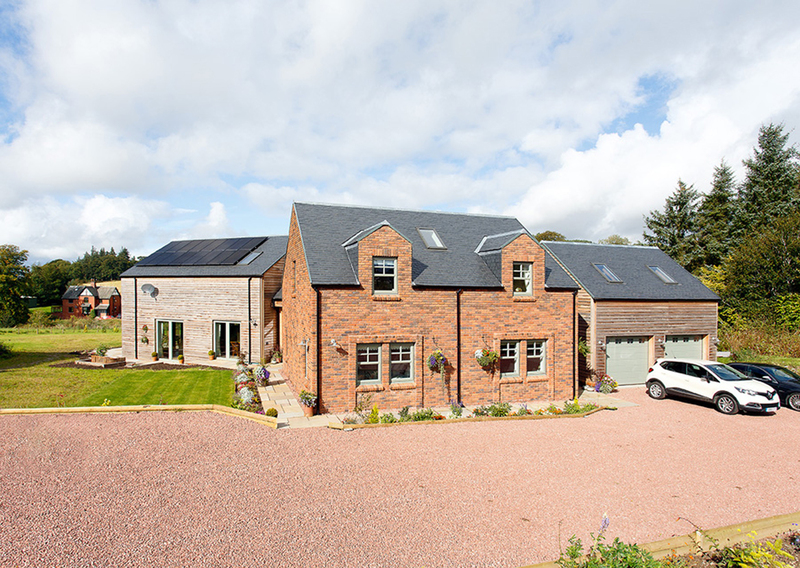 Every Self Build project is different and you should not presume that you can build whatever you want wherever you want – even if you live in the middle of the Countryside and have no neighbours! Whether you are planning your dream home from scratch or just wanting to extend your existing house, it is always advisable to review the planning policy from the outset. One of the easiest and most secure ways of obtaining planning permission is to appoint a Planning Consultant. As the Planning Policies are different in Scotland and England we created this 2 part series on ‘why appoint a Planning Consultant’ and spoke with our go-to Scottish & English consultants. In Part 2 we interviewed Gary Mickelborough, the director of Bloomfields Ltd – chartered town planners to give you an insight into how planning consultant can help you build your dream home, and what challenges and advantages are waiting for you as a self-builder in England. FIRST OF ALL, WHAT IS A PLANNING CONSULTANT AND HOW CAN THEY HELP A SELF-BUILDER? I see a Planning Consultant as a “facilitator of development”, which includes, for example, being able to ensure a scheme has been designed to meet the aspirations of a self-builder and also to fulfil local and national planning policies to the satisfaction of the local planning authority (LPA) and the wider public interest. A Planning Consultant should have expert knowledge of the planning procedures and be able to navigate the planning system in a way which could make the difference between development being granted planning permission or not; the success or failure of the planning system does to some degree, rightfully or wrongfully, underpins the fruition of development. 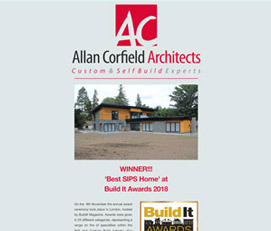 AT WHAT STAGE IN THE PROCESS OF A SELF BUILD SHOULD A PLANNING CONSULTANT BE HIRED? HOW CLOSELY SHOULD A SELF-BUILDER WORK WITH A PLANNING CONSULTANT? Any Planning Consultant would like to be involved with any scheme as soon as possible. This is because a planner will be able to advise as to whether the objective is realistic in relation to local requirements, potentially saving unnecessary time and money, and will be able to provide early advice to an architect, for example, which may inform the scale, nature and design of any proposal and ensure there is maximum likelihood that a scheme will be considered acceptable. A self-builder should make clear their objectives to the Planning Consultant and, in the interest of being successful, be prepared to allow the Planning Consultant some degree of rein to take decisions, and to liaise with the architect, consultants and the LPA’s on their behalf. 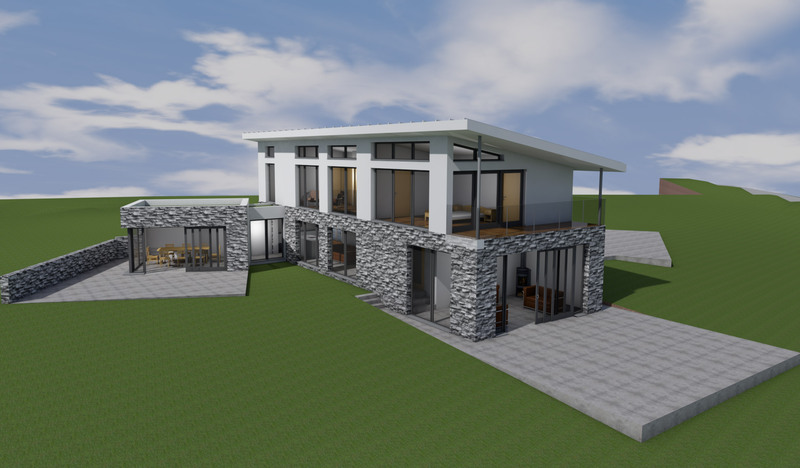 In many ways, a planner can become the project manager during the pre-build stage of a Self Build. IN SOME CASES A GOOD PLANNING CONSULTANT IS ABLE TO TURN THE TIDE IN FAVOUR OF GETTING PLANNING APPROVAL. Yes, this can simply be as a result of being able to say or submit the right words as part of submissions to the LPA or subsequent discussions/negations during the planning process. However, it is not uncommon for a planner to be approached after an application has been determined, only for the reasons for refusal to be issues that cannot be overcome at this later stage. Whereas the early involvement of a Planning Consultant may well have ‘turned the tide’ prior to the determination of the application therefore preventing the time and money of an unnecessary re-submission or appeal. WHAT IS THE UNIQUE ADVANTAGE OF HIRING A PLANNING CONSULTANT? WHAT CAN A PLANNING CONSULTANT DO THAT A SELF-BUILDER OR ARCHITECT CANNOT DO THEMSELVES? I believe that the unique advantage of hiring a Planning Consultant is the benefit of bringing about impartial and honest direction and advice. 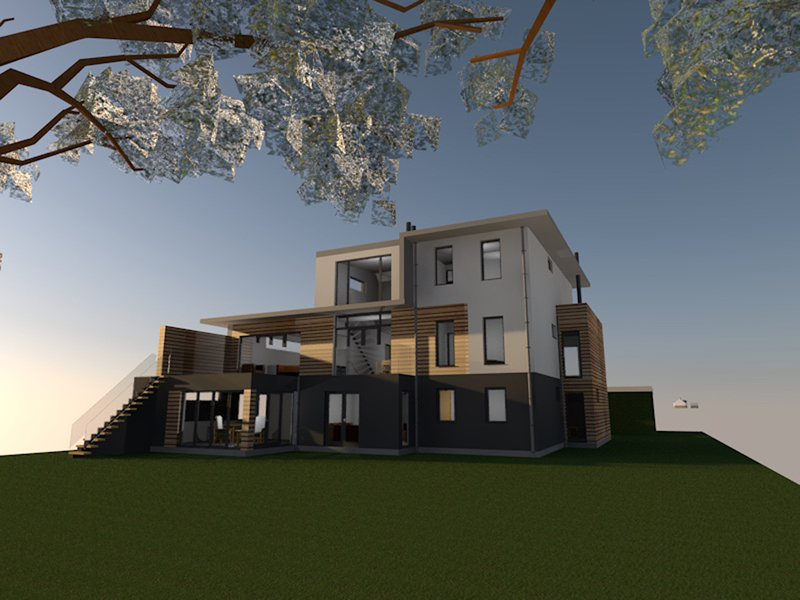 An architect’s skills may be in producing fantastic designs which are functional and attractive, but these can sometimes mean that the needs and aspirations of the self-builder (or even the architect) can require restraining in order to ensure they will stand the best chance of being allowed. 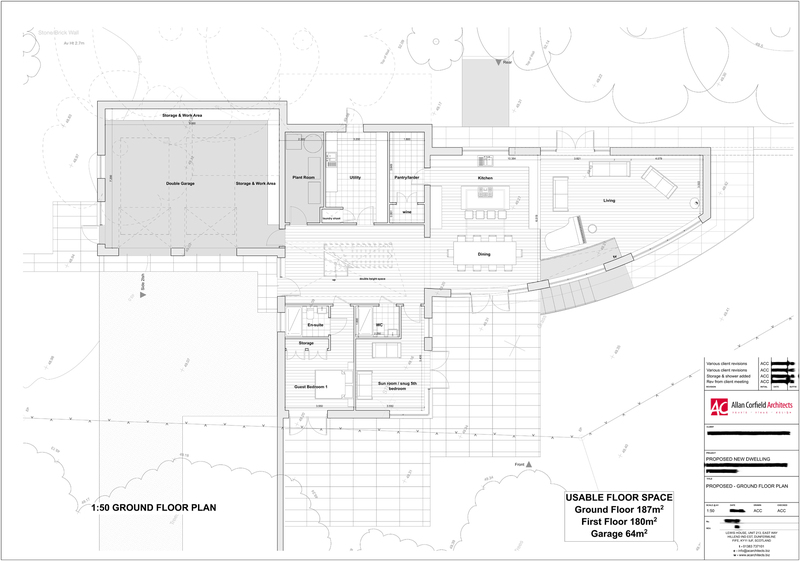 A Planning Consultant can hold the reins and ensure the design work is carried out in a manner which maximises the likelihood of success, thereby providing balance to a project. A Planning Consultant will also be aware of previous decisions, appeals and case law which have set precedents, and be able to present a persuasive case as to why a site should be accepted. They will also have and established working relationship with the LPA and its planning officers, as well as a network of professional consultants. 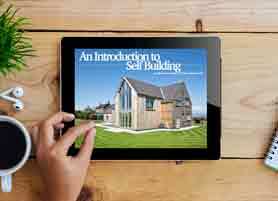 WHAT ARE YOUR TOP TIPS TO A SELF-BUILDER. WHAT COULD HELP THEM DECIDE WHETHER THEY NEED A PLANNING CONSULTANT OR NOT? For those who know what they want and would not compromise in any way, the services of a Planning Consultant would probably not be required during the design process although the complexities of the planning procedure may also be problematic. However, to proceed without a Planning Consultant may be to spend time and money on a scheme which has no chance of success. I would advise any self-builder to engage with a Planning Consultant before proceeding with any project, if only to find out whether there is a realistic chance that a site can be developed. A Planning Consultant should also be able to say very early on what the major issues are going to be and identify ways (or strategies) as to how these could be overcome. A reputable Planning Consultant will have a self-builder’s interest at heart and should be able to advise as to whether their continued involvement is necessary. 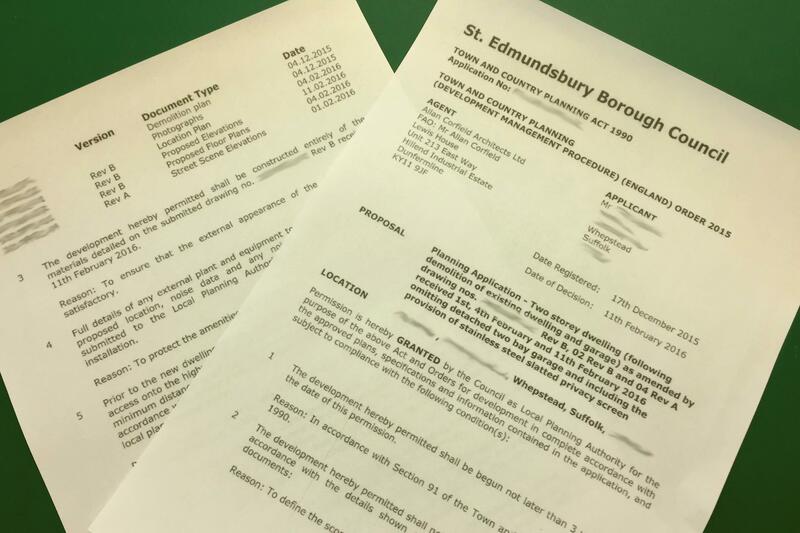 IS IT TOO LATE TO CONTACT A PLANNING CONSULTANT AFTER A PLANNING APPLICATION IS REJECTED? It is not always too late, even if it is not ideal. Truth be told, quit often the point at which a Planning Consultant becomes involved in a scheme is when a self-builder or his/her architect or agent realises that the complexities of the planning process requires a level of expertise to navigate or in order to overcome objections. ON A TYPICAL SELF BUILD PROJECT WHAT SHOULD A CLIENT’S BUDGET BE FOR A PLANNING CONSULTANT’S FEES? This is a very difficult question because it very much depends on the Planning Consultant who may charge different fees according to level of experience, workload demands and type of agreement. Some Planning Consultants work on a time charge basis, whereas others are happy to negotiate fees on the basis that a success fee will be paid. It is fair to say that a Planning Consultant’s fee will very much depend on how much time is estimated to be required to deal with a job. This can depend on how “hands on” or how demanding a client will be, or how controversial a scheme is. That all being said, I would advise that you choose a Planning Consultant based on recommendation, not necessarily the costs involved. One would expect a Planning Consultant to be reputable not only due to the knowledge and advice they are able to bring to the table, but because they would have consistently been able to attain success for clients, delivering real commercial value to projects. To some degree a Planning Consultant’s fee can prove insignificant to the costs of the overall scheme. WHAT ROLES WILL THE PLANNING CONSULTANT TAKE OVER FROM MY CURRENT ARCHITECT? A Planning Consultant will normally be responsible for collating all necessary documentation for the application and will usually form a Planning Statement which should bring together all relevant information and provide a case as to why the development should be considered acceptable. The Consultant would make the formal submission of the application and manage the application during the course of its consideration. A Planning Consultant will take over the role of “agent” for the application, which means he/she will be the first point of contact for an LPA and any third-party consultants involved. This enables the consultant to discuss/negotiate the merits of a scheme on behalf of the self-builder if any issues are raised. Many architects enjoy the prospect of allowing what they see as the more mundane tasks being dealt with by the Planning Consultant they use, allowing them to focus on the fun part; the design work. IS IT BETTER TO HIRE A LOCAL PLANNING CONSULTANT WHO HAS A RELATIONSHIP WITH THE PLANNER OR A SPECIALIST PRACTICE? In my experience, yes, it is better to use a Planning Consultant who has had experience of working with your particular LPA. I would also suggest that it can be advantageous if the planner you select has experience of working in the public sector as a planning officer. However, I would suggest it is more important to seek a Planning Consultant who has been recommended, as having experience with a certain LPA does not necessarily mean that it is a good relationship! CAN YOU HIGHLIGHT THE MAIN PRINCIPLES WITHIN THE FOLLOWING POLICIES THAT NEED TO BE CONSIDERED IF BUILDING IN: 1 GREEN BELT; 2 PLOT LANDS; AND 3 PARAGRAPH 55? Constructing a Self Build project in the Green Belt can be difficult. This is because the purpose of any Green Belt is to preserve openness, consequently policy is in place which rules out in principle any new built residence, unless it replaces an existing house, amounts to “limited infilling”, or in some instances represents the redevelopment of a “brownfield site”, for example. Paragraph 55 refers to a paragraph of the National Planning Policy Framework. This paragraph reflects the Government’s intention to restrict housing to locations which are considered to be “sustainable”. It specifies the particular circumstances in which exceptions to this rule may be made. These include where it is essential for a rural worker to live on site, where a heritage asset could be preserved, where a disused building would be enhanced, or where an exceptionally well-designed scheme is presented which is truly outstanding. Houses approved under this later exception are commonly referred to as a Para 55 houses. Permissions under this clause are few and far between as such schemes have to demonstrate innovation or exceptional quality of design when considered on a national scale. So every time one is permitted the bar is set that much higher. Many architects therefore see a permission under this exception as somewhat of a coup! And it is fair to say that eco-homes are no longer considered to be sufficiently innovative to qualify as an exception under this Paragraph. CAN YOU GIVE SOME TOP TIPS TO CONSIDER WHEN DEMOLISHING AN EXISTING HOUSE AND BUILDING A REPLACEMENT DWELLING? Understand the specific local policy requirements in this matter. Every LPA has one. Some are based on restricting the size of the replacement to the existing building in terms of floor area or volume. Some permit slightly larger replacements, some 50% larger. Do not be governed by what has been built elsewhere. Never demolish any building on a site prior to professional planning advice. This is because outbuildings and structures can be used as a negotiation tool as part of any proposal for a larger replacement dwelling. CAN YOU GIVE SOME TOP ADVICE WHEN TRYING TO GET APPROVAL WHEN FOLLOWING POLICIES ARE INVOLVED: 1 GREENBELT; 2 PLOT LANDS; AND 3 PARAGRAPH 55? In the Green Belt, establishing the principle of a residence can be a challenge. However, there are now a variety of PD opportunities which allow uses such as retail, storage, office or agricultural to change to residential without planning permission. These PD rights do not apply in certain areas such as National Parks or AONB’s however they remain applicable within Green Belt’s. Pay attention to the volume of existing buildings on the site and use these to frame the scale of any proposed house. Be sure within yourself that what is being proposed is genuinely no more harmful to the openness of the area than what is existing. If it is, revise the design to reduce the impact. A variety of techniques can be employed to do this, including “digging in”, basements or increasing spread to reduce height. If you have a genuine reason to live at a site, as it is required in connection with employment, pursue this justification, but with the advice of a planner. If there is an existing building on site focus on the enhancement. If neither of these apply, it may be that the only prospect of success under Para 55 would be with an outstanding design. Be aware, the bar is high and an outstanding design should be truly outstanding or innovative and represent the highest standards in architecture. The quality of the design will not only apply to the dwelling but also the quality of the landscaping and the scheme when considered in the overall context. Any such proposal must be sensitive to the defining characteristic of the area and be considered to generally enhance the immediate setting. We would like to thank Gary Mickelborough for his cooperation and expert contribution to ACA’s blog. If you are interested in Bloomfields Ltd services for your Self Build project – why not contact them to discuss the options?